Jon Gruden and the Oakland Raiders went to Arizona hoping to get their second win of the season against a 2-8 Cardinals team that is also struggling to find any sort of consistency. 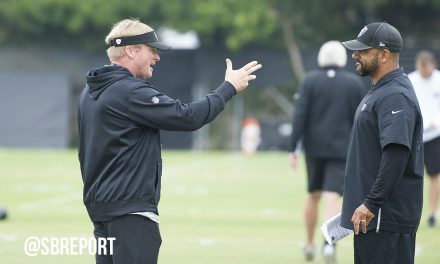 Quarterback Derek Carr and the Raiders offense once again struggled, but luckily for Gruden, defensive coordinator Paul Guenther’s defense put them in an opportunity to succeed. Guenther’s defense has struggled to come away with takeaways this year, but they got a pair of them Sunday. Second-year cornerback Gareon Conley got the first one on just the second offensive play of the game. Cardinals quarterback Josh Rosen was looking for his veteran receiver Larry Fitzgerald but Conley came away with the interception instead, returning it 28 yards to give Carr a short field. The Raiders offense took advantage when Carr found a wide open Jared Cook for the 23-yard touchdown to give the Silver & Black the early 7-0 lead. Rosen and Fitzgerald would get revenge on the next drive when the receiver ran by Nick Nelson and Marcus Gilchrist for a wide-open 18-yard touchdown to tie up the game at seven apiece. The Cardinals would take the lead late in the first quarter on a short bubble screen to the speedy Christian Kirk. Rookie defensive end Arden Key had a chance to bring Kirk down in the backfield but he slipped by and went 59 yards for the touchdown. The Raiders second touchdown of the day came after their second interception of the game when Rosen’s pass was tipped up into the air and into the hands of safety Karl Joseph. Carr capitalized by finding Brandon LaFell on an out-route to tie the game heading into halftime. 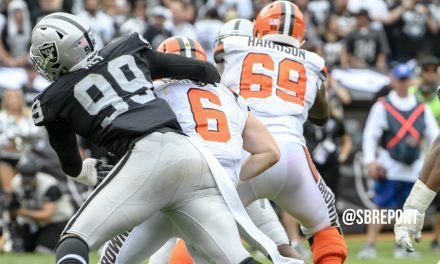 Carr and the Raiders had their chance to take control of the game with their defense playing well, but they were forced to settle for a couple of field goals from Daniel Carlson instead of touchdowns, making it 20-to-14 at the end of the third quarter. The Raiders dodged a bullet soon after when Cardinals running back David Johnson broke free on 3rd and 23 for a 57-yard touchdown that was ultimately called back due to a holding penalty, forcing a punt on the next play. Down 21-to-20 with just 1:53 remaining in the game, Carr and the Raiders offense had one more chance to win the game, needing to go 80 yards with one timeout. With LaFell joining Jordy Nelson and Martavis Bryant as injured wide receivers, Carr looked rookie wide receiver Marcell Ateman to make some plays. Ateman caught two consecutive passes for 48 total yards to put the Raiders at the Arizona 37-yard line with a minute left. Another pass to Seth Roberts for 20 yards would put the game on the foot of Carlson, who calmly nailed the 35-yard field goal to give the Raiders their second win of the season, winning 23-to-21. While Carr finished with just 192 passing yards, the Raiders ground game helped lead the Raiders offense to a victory. 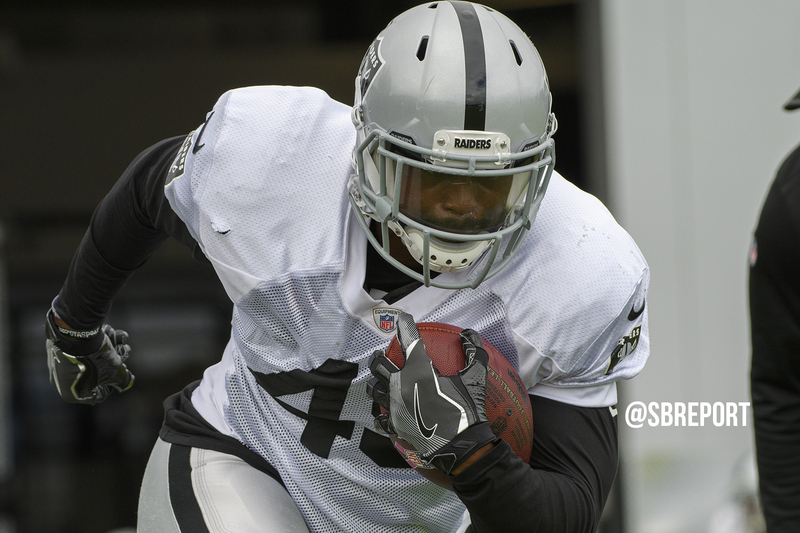 The Raiders’ rushing attack finished with 152 rushing yards, led by Jalen Richard who had 61 yards on 11 carries. Gruden and his team will look for their first win streak of the year as they head to Baltimore next week to play the Ravens who just got their first win under rookie quarterback Lamar Jackson.